Invite the great outdoors into your home! 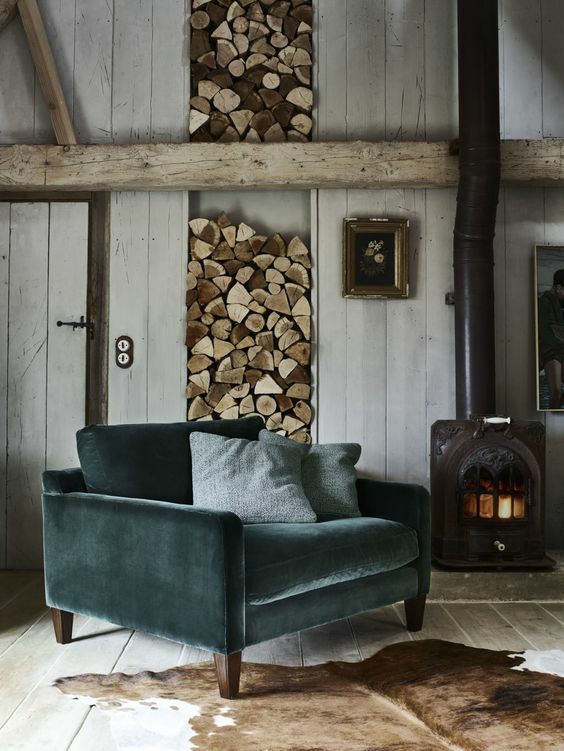 Woodland-inspired themes bring a whimsical yet sophisticated look and can be incorporated into nearly any style home. Plus it gives your humble abode an organic and homey feel. From color palettes and shelving to wallcoverings and furniture, there are plenty of ways add a bit of nature to your space. Natural, earthy colors are a simple way to give your home a cozy atmosphere. Browns, which range from taupes and amber to chestnut and dark chocolate, pair beautifully with dusty pink, mustard yellow, flame orange, deep navy, emerald green – the list goes on. It gives off a warm, calm feeling and makes any room that much more comfortable. Let an entire forest grow in your home (minus the dirt and bugs). Wallpaper and murals depict trees and critters in a variety of styles. Choose a playful print for a nursery or child’s room, or pick a photorealistic image for the living room or bedroom. The possibilities are endless. Even the littlest of details make a big impact. Candles, visually and physically, emit cozy-comfy warmth and light. A simple arrangement of decorative branches and pinecones add a delicate touch and woodsy style. Antique botanical prints give a classic, sophisticated look. Or get really creative and use actual branches as shelving! Velvet is a versatile textile; it fits in any style home, whether modern, vintage, or mid-century designed. The slight sheen gives a sumptuous look and heightens sophistication in whatever space it resides. Go for a punch of color with popping jewel tones, or a more subdued, timeless hue.